Microsoft just announced the release of its $US350 Surface Headphones. 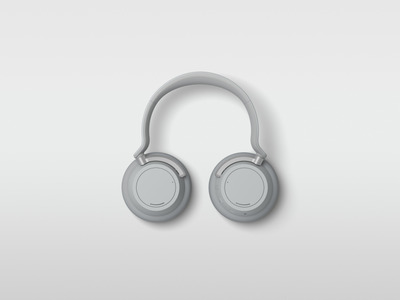 The headphones will feature active and passive noise cancelation, bluetooth and wired connections, fast charging, and Cortana support. The Surface Headphones will be available later this holiday season. Apple has its AirPods, Google built the Pixel Buds, and now Microsoft has its Surface Headphones. The $US350 over-the-ear Surface Headphones, available later this holiday season, were announced at a Microsoft event in New York City on Tuesday. They will feature active and passive noise cancelation, bluetooth and wired connections, fast charging, and Cortana support. Users can ask Microsoft’s Cortana voice assistant to pause, play, or change songs, as well as utilise Cortana’s non-audio functionalities like reminders and Bing searches. The headphones will also notice when they’re taken off someone’s head, and will pause songs or mute calls accordingly while the headset is removed. The idea, it seems, is to offer a pair of high-end headphones that complement Microsoft’s high-end Surface hardware. Indeed, on Tuesday, Microsoft announced a trio of new Surface computers: the Surface Pro 6, the Surface Laptop 2, and the Surface Studio 2.